The long preparation time will be over on June 11 , when what´s the deal final event „moving urban cultures“ will be started as a diverse festival at the Import Export Kantine in the Kreativquartier in Munich. The day will begin with a beginner’s workshop for anyone who would like to try out skateboarding. After leaving the workshop with a proud smile and new skills, one can take a seat and rest while listening to the opening speech by Dr Hans-Georg Küppers, the Director of the Department of Arts and Culture. 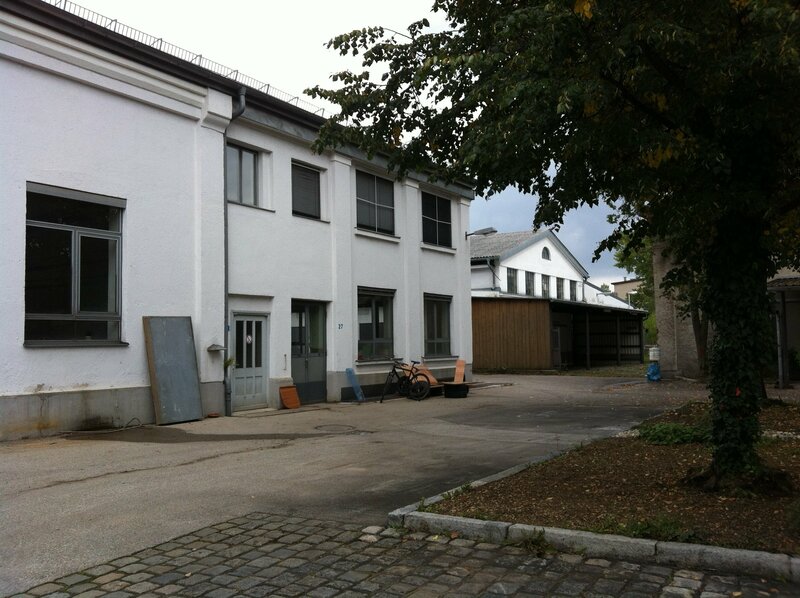 Rüdiger rom our project partner Schmiede Hallein in Austria will later explain how creativity and sustainability at the Schmiede festival is firmly interwoven. Meanwhile, the space in front of the Import Export Kantine will hopefully be filled with visitors eager to find out about the artworks presented in the exhibition rooms. We will provide guided tours by our team in order to pass on the ideas and stories connected with the creation of the art work, but als to talk about what has happened during the last two years in the WTD project. It will also be a chance to get into easy conversations with the artists who will be around for the opening. The guided tours will not only lead through the exhibitions rooms but also show the area around the Import Export Kantine, as the Nomadic Sculpture, one of the major project activities in Munich is being set up again in the courtyard together with the crazy designed trikes from Ljubljana. 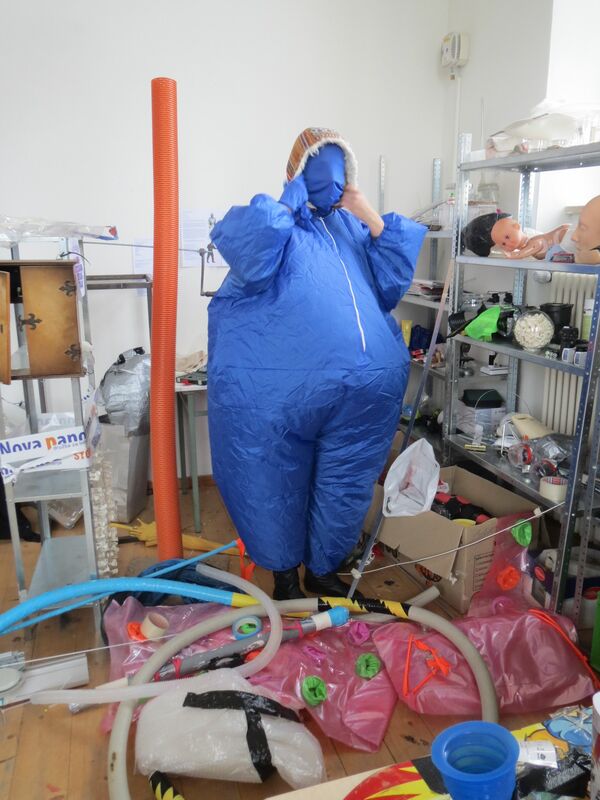 In between, students of the Academy of Fine Arts in Munich will do a live performance of the installation they have created for the exhibition. 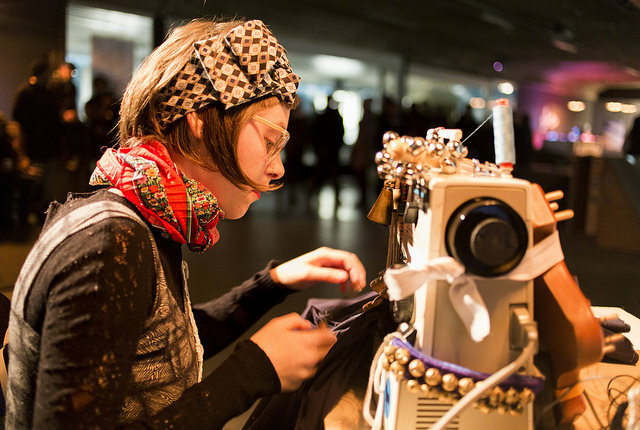 Before music with HopStopBanda and DJ Nemo.and informal talks with the artists will end the day, another performance – this one by Lisa Simpson and Stephanie Müller combining sewing with music and art – will entertain the audience.